Atlanta, GA – Ruf Records artist, Mike Zito is set to release his Songs From The Road Live CD/DVD on November 11th . Zito, an award winning artist and producer, wows the Texas home crowd with his blues boogie-woogie one winter night in January 2014, at Houston’s Dosey Doe only a few miles away from where he lives in Beaumont. Straight from the start, Mike takes command of the stage with songs from his vast catalog over the years, with songs like Greyhound, “Gone To Texas” and “Pearl River”, co-written by the great Cyril Neville, won a Blues Music Award in 2011. Even a clever cover of the Prince classic ”Little Red Corvette”, would impress the Purple Rain man himself. Mike’s guitar work soars, sings and cheers against his velvet voice perhaps only after years of perfecting the two. Mike has cultivated this sound, one that stands on its own head with songs that talk about taking that leap, to somewhere else, has become his life story. A blasting concert with the full band starts the DVD, but there is a bonus after the lights have been turned off– a tender acoustic storyteller set where Mike stops to tell his side of his life. Three songs are performed “Dead Of Night”, “Death Row” and “Gone To Texas” with only Mike and his acoustic guitar. He tells the behind the songs, which is worth the price of the show. His band, The Wheel backs him up and adds color to the show. The Wheel consists of Jimmy Carpenter on saxophone, Scot Sutherland on bass, Rob Lee on drums and on Hammond B-3 and piano, the legendary Lewis Stephens (Delbert McClinton, Freddie King). Mike is able to pick, slide and strum on his guitars in and out as they create the musical back drop. “The audience was on fire from the first note. The band played with such energy and passion. I was overwhelmed many times throughout this performance by the sheer energy of love that poured out of every soul in that building. It was a truly magical night, one I’ll never forget.” Mike beams with excitement about the show. Mike will be out on the road this fall and winter, supporting his release, around the states as well as Europe at clubs, theaters and festivals. He is booked by Blue Mountain out of North Carolina and managed by Rueben Williams at Thunderbird Management. 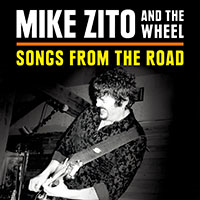 Mike Zito is found on the internet: www.mikezito.com as well as all social media outlets. To arrange an interview with Mike, please contact: Jill Kettles at Miss Jill PR by email: jill@missjillpr.com or tel: 404-213-8542.